Samsung, the world’s leader in smartphones and TVs, has now set its sights on becoming a global leader in home audio. The company is investing heavily in its audio research facility and has recently unveiled its latest innovation: the Samsung Wireless Audio 360º speaker range with unique omni-directional sound technology. 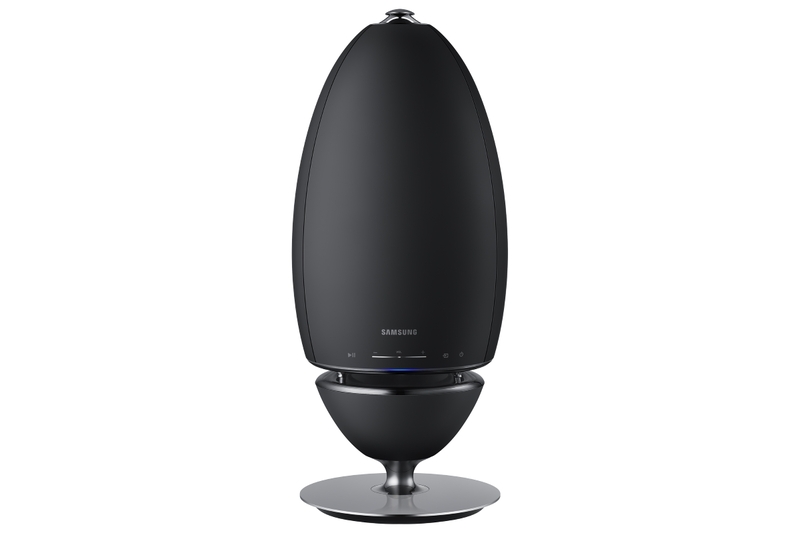 The Samsung Wireless Audio 360º speaker is the first omni-directional speaker on the market. This means it transmits sound in all directions, whereas traditional speakers are uni-directional. Engineers spent over two years researching and developing the speakers at the custom-built Samsung Audio Lab in California. Their focus was on mastering technology that could deliver omni-directional sound without compromising on sound quality. 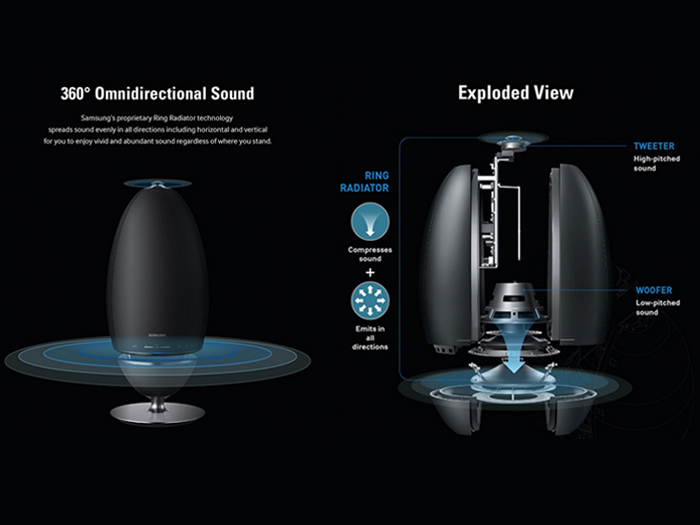 “The Samsung Wireless Audio 360º is an innovation that is revolutionising the way we listen to music at home. 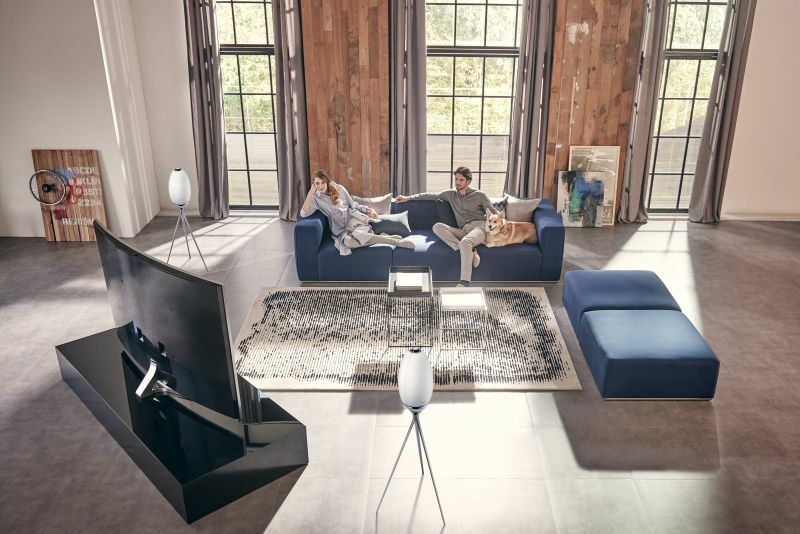 Using the latest Samsung technology, we have created a speaker that fills an entire room with sound for a truly immersive entertainment experience,” says Matthew Thackrah,Deputy Managing Director and Head of Consumer Electronics at Samsung Electronics SA. Unlike conventional speakers that project sound in a single direction, the Wireless Audio 360º boasts the Samsung Ring Radiator technology, which disperses sound evenly in all directions. The speaker’s numerous other features include an in-built tap-and-swipe user interface, which allows users to connect multiple speakers so the same music can be played across several rooms. With Samsung’s Multiroom app the speaker can be connected to smartphones, tablets and smartwatches over Bluetooth and Wi-Fi. Shape was an important factor in determining the ideal design for producing omni-directional sound. Dozens of concepts were developed and tested, and the engineers agreed the oval shape was most effective for producing 360º sound while reducing sound distortion and noise. The speaker is also aesthetically pleasing and is designed to enhance any home from a visual perspective. “Samsung has invested significantly into the Wireless Audio 360º range and we believe it will transform the way consumers experience music with its omni-directional sound, portability and remarkable quality. We are bringing a new kind of high quality sound to the market, with a more intuitive user interface and a simple yet premium design. We firmly believe these features will cement Samsung’s position as a world leader in home audio,” concludes Thackrah. The Wireless Audio 360º is available in four different models. The recommended retail price is R2 500 for the R1 model and the top of the range retails at R5 500 for the R7 model. The R7 can be complemented with a tripod stand or ceiling mount, which is an optional extra available in stores from November. Wattage ranges from 45 to 80 watts and certain models are available in white or black.